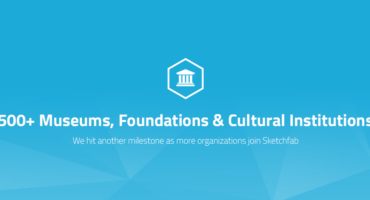 Sketchfab Community Blog - Join the conversation on our new forum! The Sketchfab community is getting more and more vibrant all the time. Discussions on model pages are getting longer, and we’re starting to see some real Rockstars – members who rack up loads of followers and model views in a short time! Still, we felt something was missing. Due to the way our site was organized, conversations always focused on a specific model. This made it hard to start a discussion on broader topics like issues with specific software or sharing of tips and tricks. To solve this, we have now added a forum to the website. We settled on using the Discourse forum software – an open source and very modern approach to forums. It may look a little different from existing forums, but give it a try and I’m sure it’ll grow on you! We’re a community of artists. People have invested countless hours in their work, so be mindful with your replies. No personal attacks or profanity. Keep the conversation civil and constructive. My personal guideline online: what would my mother think if she knew I was writing this? Please post only content that you own or have a right to (Creative Commons content, for example). This is a public forum about 3D art and it’s not the right place for pornographic, shocking or political content. Racism, prejudice or hate speech in any shape or form will not ever be tolerated by us. Once you visit the forum for the first time, we will email you some technical instructions. Please take a look at those to get familiar with how things work. Artwork – do you have a story to tell about your art? Feel free to post it here! Also, we’ve already seen several threads pop up where people collected art around a central theme, like Nintendo fan art or Awesome spaceships. I love that stuff, go ahead to start your own. Support – all your Sketchfab related questions can go here. This forum is monitored by our support team. Lounge – the place for any ‘offtopic’ chat, community messages etc. Meta – this one’s a bit more technical, you can use it for any messages about the site and community itself. Oh, and one more thing: embedding a Sketchfab model is easier than you may think! Just put a model URL on its own line in your message. No need for any special codes! Pretty neat, right? Right, that’s enough talk for now. Go take a look and I hope I’ll see you around on the forum! Why not introduce yourself right now on the Lounge forum?